Hello! Time to think about Valentine cards for those we love. 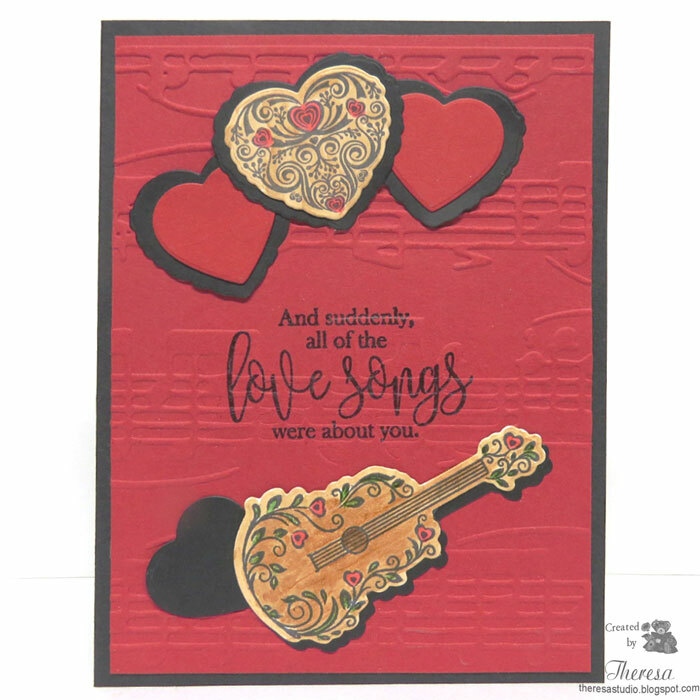 I created this design with Gina K's stamps and dies from the new Hearts and Flowers kit. I stamped both the guitar and fancy heart on white CS with Black ink and colored with copics. I tried to color the guitar with a wood grain look. I cut both out and layered with die cuts from Black CS. 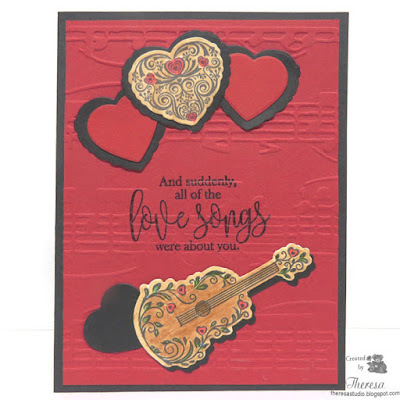 I embossed a layer of GKF Red Velvet CS with Cuttlebug Allegro EF for the background which I also stamped and heat embossed with a Gina K sentiment from the set. I finished by arranging the Guitar and Heart with more hearts cut from red and black CS. Attached to a card base of GKD Black CS. Just Add Ink: #392 Just Add Something New. Used new stamps and dies. 613 Avenue Create: Challenge 205 Anything Goes /optional twist Something New. Used new stamps and dies for my card. 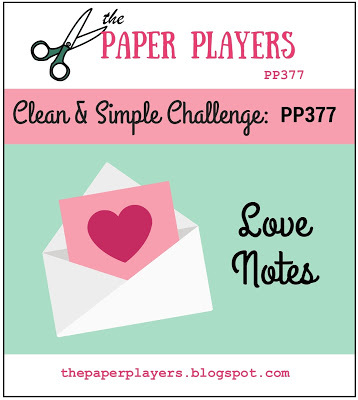 Die Cut Diva's: January Challenge Do Or Use Something. Used new stamps and dies. Beautiful card Theresa, your guitar looks perfect!! Fun card! I really like the coordinating music embossing! The pretty details on those images are really lovely and the texture too! Thanks for sharing at Just Add Ink. Congratulations on the new stamp and die. Wonderful card. o glad you joined us at Die Cut Divas. Lovely card. Thanks for joining us at die cut diva's.